Many customers set up several Lists, one for each end-to-end process their Organization manages. For instance, you might have an Opportunities List for sales and a Customers List for client management, or Recruiting for candidates and Employees for hires. 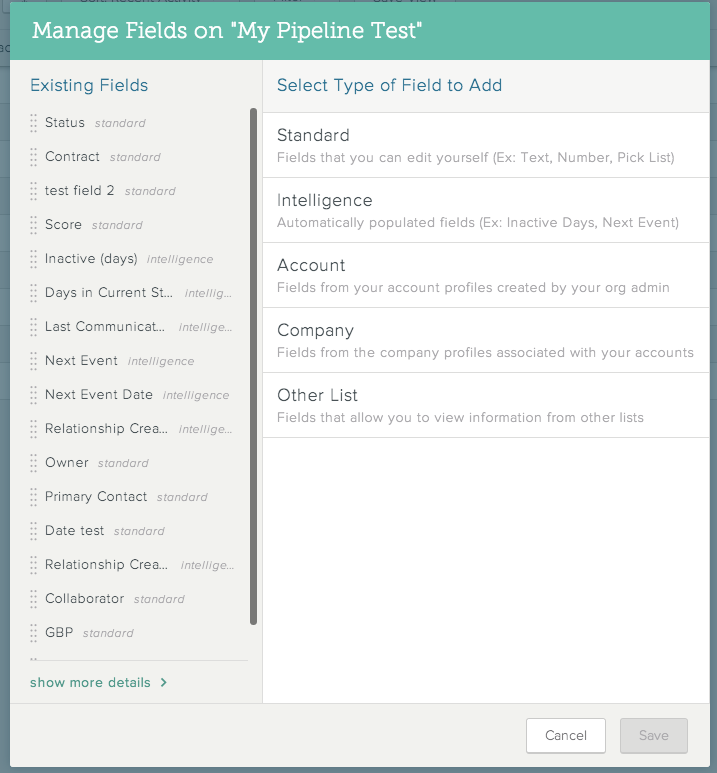 You can use linked fields to view a field from one List in another List. For instance, you may need to know the opportunity owner for your customer's latest upsell, or who referred your new hire. 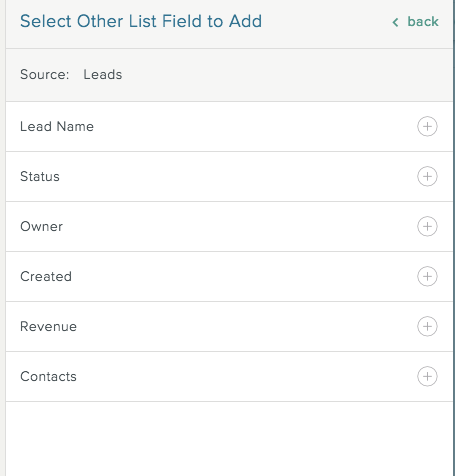 To add a linked field to a List, you must be an Organization admin. To edit a linked field, you must go to the source and make your edits there. If you add a linked field to a second List, the field is view-only there. When you create a Linked field, this adds two fields to the List: a field indicating the object name in the source List (lead, opportunity, etc. ), and the field you brought in from the source List. Open the List and click to display the Grid view. Note: This is the List where you want to add the linked field, not the source List containing the field. Scroll to the end of the list and click Add a Field. For the field type, click Other List. Select the Source drop-down list, and then select the List containing the field you want to add to the current List. Select the field you want to bring in from the source List.